The geopolitics of climate change shifted dramatically over the past several years: New powers are emerging and old blocs are receding. As the Trump era begins, the incoming administration has an opportunity to protect the position of the United States as a forward-looking force in this new order. Yet it is currently choosing not to lead on climate change—a decision that is ultimately at odds with its own America-first philosophy. Countries at all stages of development have now embraced clean energy as a necessity and an opportunity. The Paris Agreement—a pact that expects all countries to contribute to the global climate effort according to their national circumstances—came into effect in November 2016. To date, more than 100 nations have opted in with their first national climate targets under the agreement. Over the past several years, the United States has cultivated a leadership role in the climate movement, pursuing both domestic measures to reduce emissions and engaging bilaterally with other major emitters, including China, India, Canada, and Mexico. Unfortunately, there are early indications—including in the confirmation hearings of his nominees—that the Trump administration will choose to cede this leadership to other global powers. 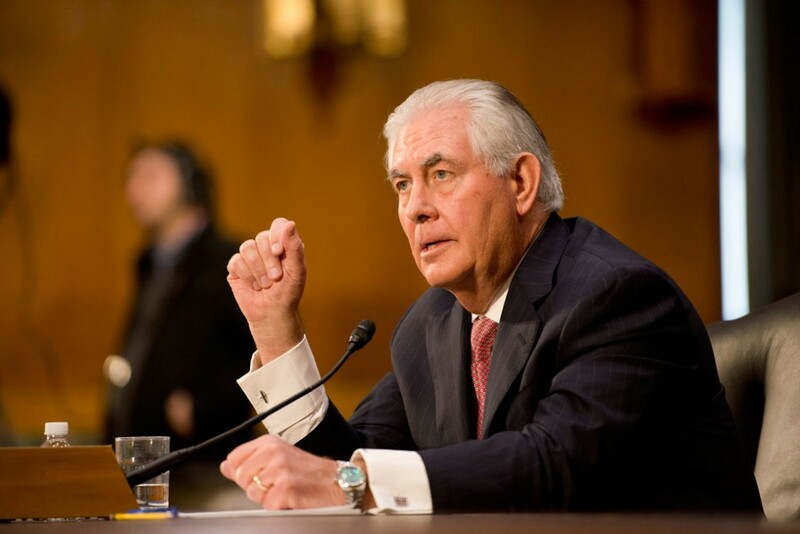 Rex Tillerson—former CEO of Exxon Mobil and nominee for secretary of state—revealed in his confirmation hearing that he has, unsurprisingly, a corporate worldview. In itself, this is not incompatible with climate leadership: Forward-looking companies, aware of the costs of climate change and the opportunities of clean energy, support full implementation of the Paris Agreement. The statements of these nominees are anachronistic: They imply that other nations are not acting on climate and that U.S. inaction could be smart for the U.S. economy. Today, however, it is widely understood that climate change is to the long-term detriment of all economies and countries. With this in mind, countries are advancing the transition to clean energy and implementing their climate commitments. To state the obvious, such anachronisms are not helpful from a global perspective. The race-to-the-top philosophy of Paris, in which countries spur one another to pursue ambitious climate goals, is more conducive to progress on climate than a monomaniacal focus on short-term competitiveness. Any delay in the climate effort would mean further threats to national security, damage to human health, and economic loss and instability, both in the United States and globally. But an abdication of U.S. climate leadership is also unhelpful from the America-first perspective that Trump outlined in his inaugural address. Global climate efforts have provided—and continue to provide—billions of dollars in direct benefits to the United States. Climate targets submitted by other nations in advance of the Paris summit, for example, are estimated to result in direct benefits of more than $54 to $544 billion by 2030. A weak presence at the table compromises the negotiating position of the United States and its ability to leverage the emissions reductions that result in these benefits. There is something profoundly un-American in ceding U.S. global leadership on clean energy and rolling back support for energy innovation. But if this is the tack of the new administration, there are other major powers positioned to dominate the clean energy economy. Both the Clean Energy Ministerial and the Mission Innovation initiative will convene in Beijing in 2017. In light of China’s notable climate hawkishness this week, it may be a suitable location. Gwynne Taraska is the Associate Director of Energy Policy at American Progress.